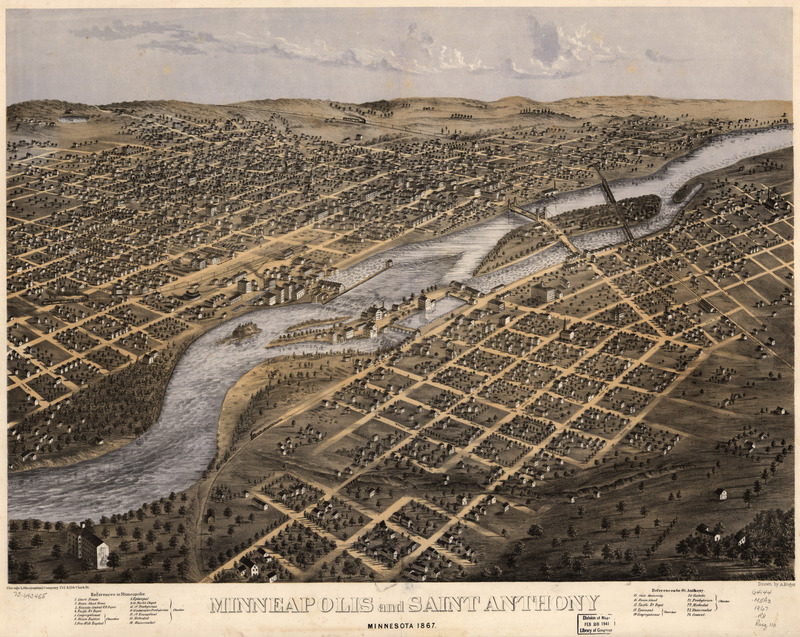 A. Ruger's Birdseye map of Minneapolis, Minnesota in 1867. This map isn't part of any series, but we have other maps of Minnesota that you might want to check out. 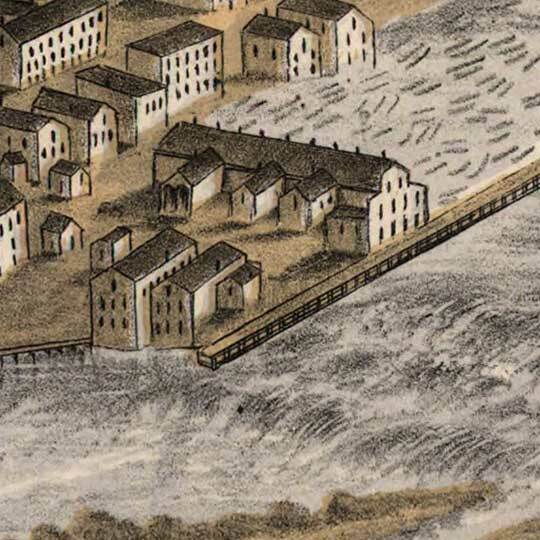 Ruger's illustration of Minneapolis [gmap] centered on Saint Anthony Falls, the only (remaining) natural waterfall on the Mississippi River. Good scan — thanks for posting this! As an aside, most of the non-numbered street names changed after Minneapolis and St. Anthony merged in 1872. Hi Aaron. Can you help me out here… I am viewing this map from current day NE MPLS. Is that accurate? Is the “bay steet” shown in the above drawing now present day Hennepin Ave?